Cody Strate, St. Francis. The sophomore forward picked up a season-high five points in the Fighting Saints' 8-0 rout of Southwest Christian/Richfield on Dec. 21. Strate scored four straight goals within 11 minutes before adding his final point — an assist — on the game's sixth goal. Carson Arthur, Rochester John Marshall. The Rockets picked up their second win of the season thanks to a 40-save effort from Arthur. They defeated Henry Sibley 5-2 on Dec. 20, as the goaltender posted a .952 save percentage in his first game of the season. Stevan Blauert, Holy Angels. The junior defenseman led the Stars' offensive outburst, as he scored his third goal of the season and added six assists in an 11-5 win over Providence Academy on Dec. 22. Blauert was dominant on the Stars' special teams — contributing two power-play assists in the first period, two more in the second, and another assist short-handed. Cam Blue, Red Wing. Blue matched his season-high three points in a 3-2 overtime win over Winona on Dec. 18. The senior forward scored the Wingers' first goal to tie the game at one, then assisted on another tying goal, this one on the power play with 1 minute, 15 seconds remaining in the third. Blue ended the game with an overtime score. Ben Doherty, Alexandria. The senior forward tied his season high of four points in a 7-2 win over Fergus Falls on Dec. 18. Doherty tallied two assists within the first three minutes of the game before scoring twice short-handed. Maddox Fleming, Rochester Mayo. The freshman forward continued his impressive start to the season after contributing 38 points last year as an eighth-grader. In a 10-3 win over Austin on Dec. 18, Fleming tallied four assists and two goals, including one on a rare penalty shot opportunity. Fleming is tied for fourth in the state with 14 assists. Jack Jensen, Eden Prairie. Jensen contributed three goals and two assists in a 7-6 win over Blaine on Dec. 22 — a game that never went more than six minutes without a goal. The senior forward tallied two first-period points, and when the Eagles were down in the third, Jensen scored the power-play equalizer and, with two minutes remaining, the game-winner. Gavin Orr, Mora/Milaca. 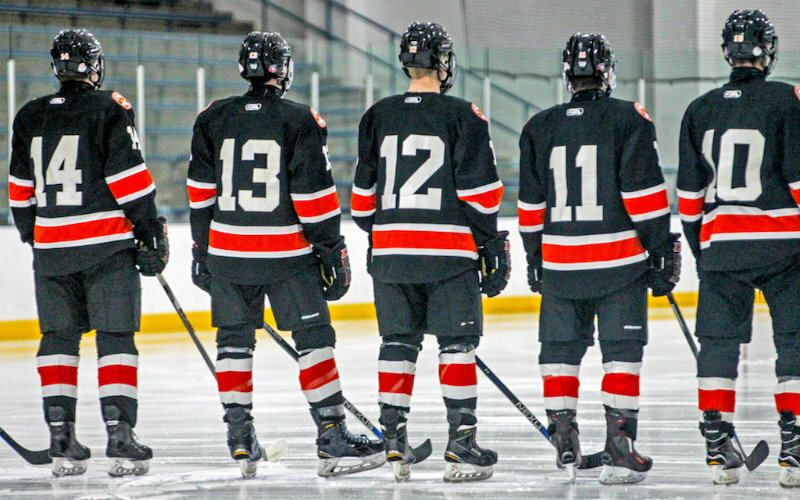 The senior forward tallied five points in the Mustangs' 5-4 win over St. Paul Highland Park on Dec. 18. Orr opened the scoring with a short-handed goal midway through the first period before helping double the Mustangs' lead with a power-play assist later in the period. After another two goals, and St. Paul Highland Park tying the game late in the second period, Orr assisted on the game-winner early in the third. Jake Turek, North Branch. The junior goaltender stopped a season-high 54 shots in a 4-3 overtime win over St. Michael-Albertville on Dec. 20. Turek's Vikings were outshot in every period, including 7-2 in overtime. Blake Ulve, Albert Lea. The sophomore forward picked up his first multi-point game of the season in a 4-3 win over Mankato East on Dec. 18. He assisted on the game's first goal before scoring a power-play goal in the third and the game-winner with one second left in overtime. *Stats and records as of Dec. 23.